(CA) contract. Termination fee applies. See terms. By typing my name and phone number and clicking 'Get Offer Now' I authorize Protect Your Home to use automated technology to contact me at the number provided regarding home security. I understand that my consent is not a condition of purchase. Top Featured Offer in Texas! With $99 installation fee and purchase of 36 or 24 month (CA) contract. Termination fee applies. See terms. With $99 installation fee and purchase of 36 or 24 month (CA) contract. Termination fee applies. See terms. Help protect your home while you still can. "ADT strikes back with a setup that connects a wide range of sensors together through an intuitive smartphone app." Help protect your peace of mind. Talk to a home security specialist. Call Us Now or Fill out the form on the left to get free quote! Up to 15 sensors free for pre-wired homes or up to 7 wireless sensors free. No substitutions allowed. Labor charges may apply. 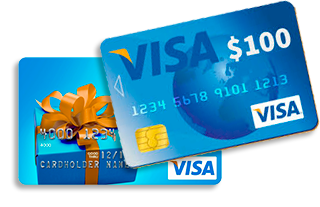 $100 Visa Gift Card fulfilled by Protect Your Home through third-party provider, Mpell, upon installation of a security system. Shipping and Handling Fee applies. $99 charge for parts and installation. 3 6-Month Monitoring Agreement required at $27.99 per month ($1,007.64). 24-Month Monitoring Agreement required at $27.99 per month ($671.76) for California. Form of payment must be by credit card or electronic charge to your checking or savings account. Offer applies to homeowners only. Certain packages require approved landline phone. Local permit fees may be required. Satisfactory credit history required. Termination Fee applies. Certain restrictions may apply. Offer valid for new ADT Authorized Premier Provider customers only and not on purchases from ADT LLC. Other rate plans available. Cannot be combined with any other offer. The $27.99 Offer does not include Quality Service Plan (QSP). Quality Service Plan (QSP) is ADT’s Extended Limited Warranty. To view Protect Your Home's list of licenses please click here. 3750 Priority Way South Dr. Indianapolis, IN 46240 ©2016 Defenders, Inc. dba Protect Your Home. 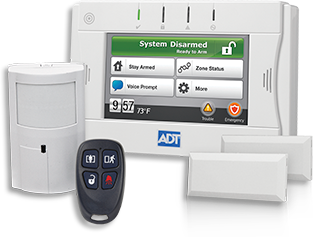 Best Security Systems provides you with home alarm system offers from America's top rated security companies. Copyright © 2017 Best Security Systems.